E.J.CHURCHILL. SHOOTING GROUND. GUNMAKERS. CORPORATE ENTERTAINMENT. SPORTING AGENCY. Imagine my barely concealed delight at being invited by Robert Jarman, the Editor of The Vintage Magazine to write up an article about this leading gun company, when the automotive industry is really my subject. Why then the excitement? While I have spent a lifetime thus far eking out a living doing what I enjoy, shooting is my pastime and my passion. Therefore, to be invited to E.J. 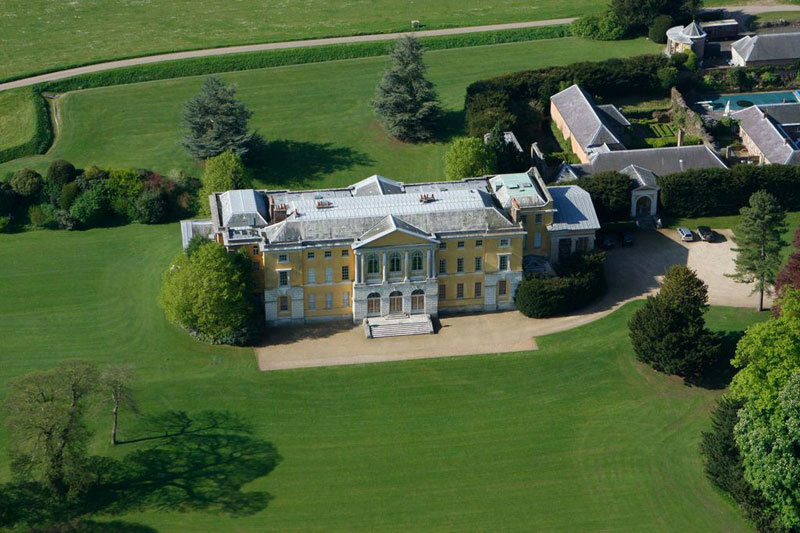 Churchill’s base on the West Wycombe Estate in Buckinghamshire was something special. I have shot for about fifty years, and during that time taken a variety of instruction with, dare I say, somewhat mixed success! Arriving at Churchill’s Shooting lodge, Robert and I were immediately impressed by the warm welcome we received, coupled with a very decent cup of coffee and bacon rolls. Something that has always impressed me, having eluded me personally, is a stranger’s ability to remember one’s name without effort. Achieved on this occasion by both Amy Martin and Jane Fenwick who share the marketing roles of the various elements that make up the E.J. Churchill Group. It was in the year of 1891 when Edwin John Churchill set up his workshops to create some of the finest London guns. A success that became a tradition. It is as easy today to invest in one or more of these superlative pieces that is by no exaggeration a work of art. All the more attractive perhaps, any of their guns are efficient and practical as well as aesthetically pleasing. Their value cannot be gauged in monetary terms alone. A Churchill gun is something that one aspires to own as the current custodian for future generations. In order to cater for the wide range of customers’ requirements and their budgets, Churchill has expanded their range to include a range of Italian built guns that retain Churchill design, quality and attention to detail. These complement the full range of best English guns that are hand built. Guns can be custom built to the buyers specifications. In this way there is the opportunity to own a truly bespoke piece that is one of a kind in the world. Situated within the Dashwood estate of West Wycombe, E.J. 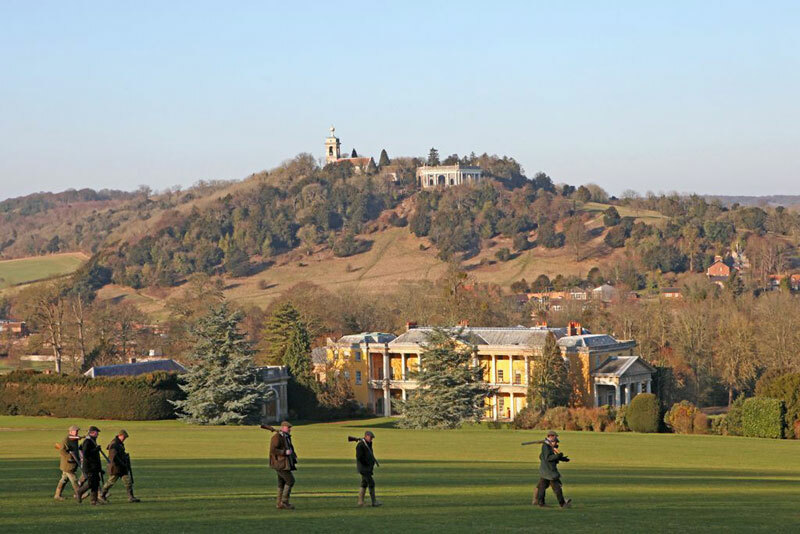 Churchill have been able to create a shooting ground that must be the envy of all others. Indeed the site has been chosen to host the 2014 World Clay Shooting Championships. Sir Edward Dashwood is the current incumbent, whose family have been on the estate for over 300 years. A fantastic achievement that has stood this beautiful bit of England in good stead for its current role which includes multi sporting and leisure activities. We were extremely fortunate to be shown over West Wycombe House by Sir Edward himself, who came across as a very modern thinking businessman who is passionate about the past, present and future of his family home. Sir Edward Dashwood has a commercial interest in the E.J. 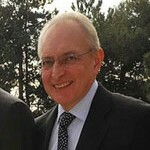 Churchill Group, as Chairman he is ably assisted by Rob Fenwick their Managing Director. Rob is very much hands on and is seen to be dealing with the day to day roles of managing the staff of the various components that make up the group of companies. It was he who gave a welcoming address, and invited us all to try some Clay shooting. The group of journalists included some experienced shots as well those who had never held a gun before, let alone a loaded one! The instructors were superb. Extremely professional, diligent about safety without being boorish and ensuring that everyone was having a thoroughly enjoyable experience. While we were not able to see everyone shoot, it was clear that everyone without exception had a memorable hour out with a gun. Personally I was mightily impressed to learn things about my shooting in such a short lesson that many instructors and years of experience have failed to spot before. The need to return for more is not just desirable but an urgent necessity! Following our tour of the house we were taken to the Hellfire caves. These extraordinary excavations extend for half a mile at a depth reaching 300 feet under the Chiltern Hills. Dug in the 18th Century these tunnels create a labyrinth of tunnels that interconnect with large caverns. 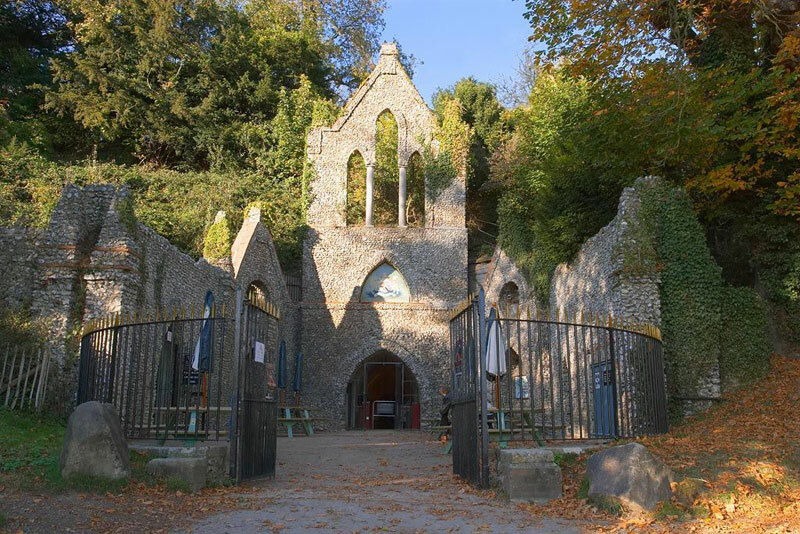 The Hellfire caves are open to the public on a regular basis as well as being used as an entertainment venue for dinners, dances and product launches. There are many wild stories attached to the caves and the Hellfire Club that was founded here. Enter here at your peril, cynics and doubters prepare to be humbled! There are greater forces at work here on earth that we neither know nor understand! Suki is waiting to meet you. At the end of the morning we were given a very good buffet lunch while the ever attentive staff were on hand to answer any questions. A short visit to the gun room was a mouth-watering experience, again the quality of staffing was exceptional. Very knowledgeable and without any cheap sales related remarks. Next door is the recently opened clothing and accessory shop. The finest quality products are stocked here. For the properly attired sporting Lady or Gent this is a one stop shop. Furthermore you need look no further for the birthday or Christmas present for the otherwise impossible to buy for friend or family. You will find the perfect item here with a price to suit all occasions. In summation. Exceptional Guns. Exceptional people. Exceptional place. A wonderful experience, thank you to all at West Wycombe and E.J Churchill. George Robinson has been competing at Go-Karting since 1968, and was in the British Team in 1974.